An action role-playing game from the fathers of the Gothic series – Piranha Bytes from Germany. The plot of Risen takes the players to Faranga, an island full of valuable artifacts as well as dangerous creatures. 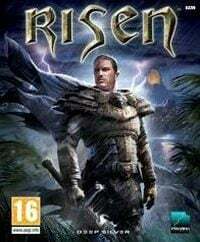 Risen for PC and X360 is a cRPG created by Piranha Bytes. It is the first game of that German developer produced after Gothic 3. It isn’t related to afore-mentioned game in any way – creators couldn’t implement any similarities as they had left the license with JoWood (they made Arcania: Gothic 4). The story begins on the island with active volcano in the middle of it. There are diverse landscapes around it, with mountains, swamps and rocky coasts. The island has various types of flora and fauna, as well as many monsters, often living in groups. There also live humans and other races but we won’t find orcs, dwarves and elves among them. We play as a mere mortal who constanlty learns how to take care of himself in this dangerous world. Character has to explore the island and complete quests given to him by NPC (among them are leaders of factions functioning in the game world). Completing tasks gives us experience points and payment in local value which allows us to buy new weapons or food from merchants. Replenishing health of the protagonist is possible not only by drinking potions but also through eating and resting. With progression in the game character opens consecutive chapters of the story and therefore improves his skills of using one- and two-handed weapon (like swords, axes and bows, among others) and casting spells. Protagonist sometimes comments his experiences with short monologues. We accompany our character day and night and we can observe dynamic weather and detailed graphics by the chance. Some characters contain 6 thousand polygons and the terrain was created with using HDR. Technological layer was completed with using commercial modules like Ageia PhysX. In addition to this Risen for PC and X360 has soundtrack composed by Kai Rosenkranz. In this guide to Risen I included a thorough description of the mission for all three sides which the player can choose. I also made exact maps with a series of marks that should help in completing the more complicated challenges.